A big “Thank You” to The Bristol Book Club for hosting my first-ever talk last night! I had a bit of a premiere last night! 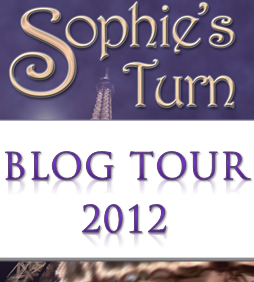 I had been kindly invited by The Bristol Book Club to join a meeting to give a talk about my debut novel, Sophie’s Turn. The event had been in the pipeline for some time, and it was only earlier this week that I started feeling a little bit nervous about my ‘book club talk debut.’ With the helpful advice from my lovely fellow authors over at loveahappyending.com, I was able to pull together a good programme. So at 6pm last night, I was ready and prepped for my coming-out talk. I arrived at the venue–very conveniently a pub down Christmas Steps way, inspired choice!–a little after the group had arrived and was greeted by friendly and interested faces. A warm reception put me at ease, and I grabbed a chair and launched in. After a brief introduction of myself, I asked everybody around the table to introduce themselves–the group was just small enough to make that feasible. As the organiser, Neil Burgess, had suggested, there was an interesting mix of ages, gender, Kindle-owners, paper-back enthusiasts, and romance critics, and we immediately launched into a short discussion of the pros and cons of e-books and e-readers. I pulled us back on topic with an outline of the plot to set the scene for my two readings. There were some nodding heads and everybody listened carefully, which was wonderful. I’d selected two excerpts that I thought would appeal to this mixed group; the first one featured the argument between Sophie and Rachel about Sophie’s engagement to Tim, and the second one introduced Dan picking up Sophie from the office (without warning) a few days after this intense argument between the girls. The group followed the readings well and I even got a few laughs, which I count as a great result! And there was animated discussion of the excerpts. For example, participants reflected on the dialogue in the first excerpt and whether it was cliched or heartfelt. Two of the ladies present considered the ins and outs of Sophie’s immediate melting reaction to Dan’s appearance: would that be realistic? One participant felt that it seemed a little unrealistic for Sophie to crumple so quickly, while the other latched onto the idea of the pre-existing relationship and, of course, Dan’s celebrity status… both of which could realistically conspire to make Sophie ‘melt’ so dramatically. It was a truly energising experience to hear my work–or short excerpts of it–discussed real-time and face-to-face, and see potential readers engage with my words. However, things didn’t go quite a smoothly as planned! Of course they didn’t! Having extolled the virtues of the e-book, of course I would encounter technical difficulties. I deliberately took my laptop, having been advised that not everyone in the group had Kindles or iPads. And so I took the laptop for two reasons. One, I wanted to be able to show folks that it is quite pleasant and easy to read an e-book on a laptop, and show how the Kindle features really work. And two, I figured the backlit screen of the laptop would be easier to read in a pub (which could be quite dark?) than a Kindle. I was right on the second count, but not on the first. Imagine my distress when, after about two screens, my Kindle App refused to respond. No clicking or dragging would move the page on, and I was quite literally stuck mid-sentence. Bless The Book Club, they were all really supportive but of course couldn’t resist the odd, and well justified, comment that something like this wouldn’t have happened with a paper back. Very true! It appears that the laptop was looking for an Internet connection (not available there, sorry!) and that took up some considerable resources, freezing the screen in the process. Agh. How embarrassing. I kept talking while I was trying to figure out where to go. I felt too flustered to try and turn the wireless feature off, so it kept looking. Eventually I worked out that a combination of dragging the text forward by about five percent and then clicking back to the right screen offered a workaround, if a clumsy one. Keeping an eye on the time and considering the technical difficulties, I cut the second reading short and opened the floor for debate. One interesting discussion strand that came up right away was whether I considered my book as ‘chick lit.’ I think my enthusiastic response (“absolutely”) surprised some of the members, and the negative publicity that chick lit has had recently was then mentioned. I gave an edited version of my views on that subject (as previously featured on my blog here) and I think that was well received overall. I can’t be one hundred per-cent sure, of course, but at least they went away knowing that I am proud of what I do. 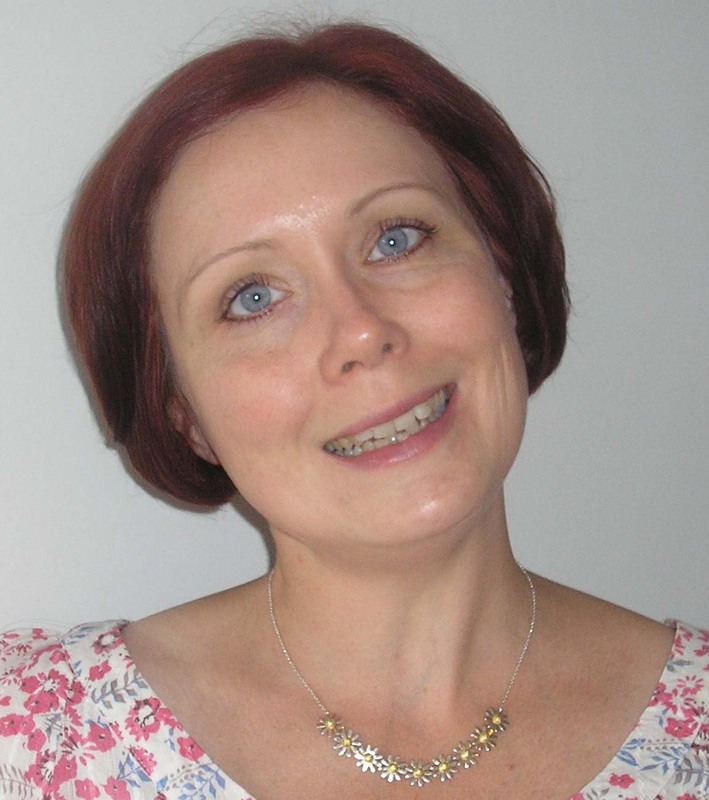 Right at the very end, I had some questions about the publishing process, why I published through KDP and whether I’d been on the agent trail. I answered the questions as openly and honestly as I could. Again, I think some of my responses surprised the folks there–especially regarding an author’s wide span of control over their markets, pricing and cover strategies. All in all, I think my first book club talk went well. There was good discussion, helpful comments and… right at the end… a few people came up to me and told me they thought I was doing a brilliant job, and had the right approach to self-promotion. Needless to say, I was absolutely over the moon to hear that. Still, there are some lessons learnt for me here. 1) Next time, take the Kindle. Or at the very least, disable the network connection. 3) Mark a variety of excerpts so that I can alter the course of readings if feedback indicates that a group might be after something different. So once more, a big and heart-felt “Thank You” to the lovely members of The Bristol Book Club for listening to my talk, asking great questions, raising fabulous points, and being so patient and supportive of this here newbie author. If you are interested in joining The Bristol Book Club, find out about their next meet-up here. 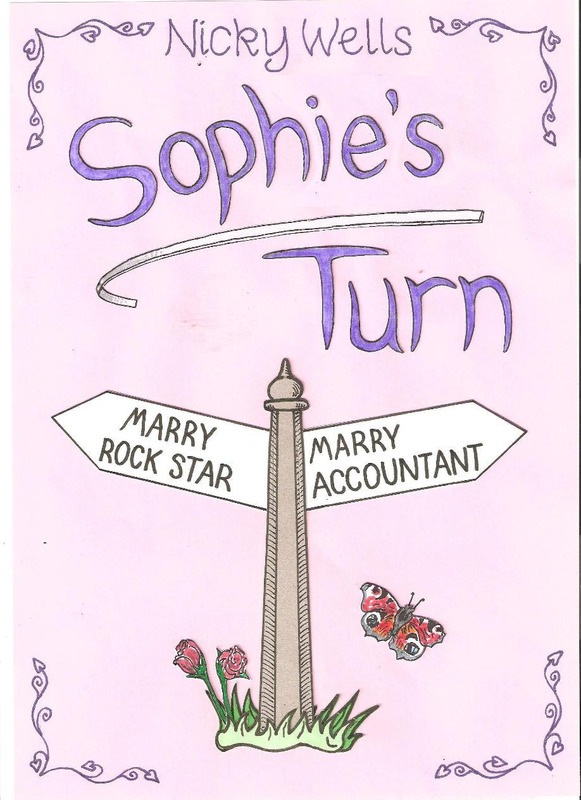 This entry was posted in Miscellaneous and tagged Book Club Talk, chick lit, Nicky Wells, Romance, Sophie's Turn, The Bristol Book Club. Bookmark the permalink. It’s a brave thing for any new author to stand up in front of a reading group, and you survived! Glitches are normal – everyone has them, and it sounds like you coped well and didn’t ‘crumple’…. and you learnt such a lot from the wonderful Bristol Book Club group. So a big pat on the back Nicky and a hug! I am always amazed at how much courage it takes to go out there and put your soul on the line. ‘Cause that’s what writing is: putting your heart and soul on the line, and to read your work and discuss it with people face-to-face takes even more courage! Well done, Nicky!!! Congratulations, Nicky! It’s always so much easier once you have the first experience like this under your belt.It sounds as if you handled everything in the best possible way – damn computer glitches!!! It’s all part of the journey. Well done! Well done you! Takes courage to get up and talk in front of a group of people. Oh, well done Nicky. It takes a lot of bottle and nerve to talk to a group like this and to read excerpts out. You handled it marvellously including the glitch. I’m sure many went away intrigued and curious about ebooks, far more than were prepared to admit last night. From here on in, further talks will be a piece of cake. Proud of you! Nicki, I think you were really brave. Some book club members seem to fancy themselves as professional literary critics! However, what shines out so clearly in all of this is your belief in your work. I’m not sure how I would have reacted to the kind of comments you faced but you came out of it with your head held high and have taken positive things from the whole experience, which is good. Chick lit is not everyone’s cup of tea and I have to admit I’ve not read much of it. But I am currently two thirds of the way through Sophie’s Choice and enjoying it very much. 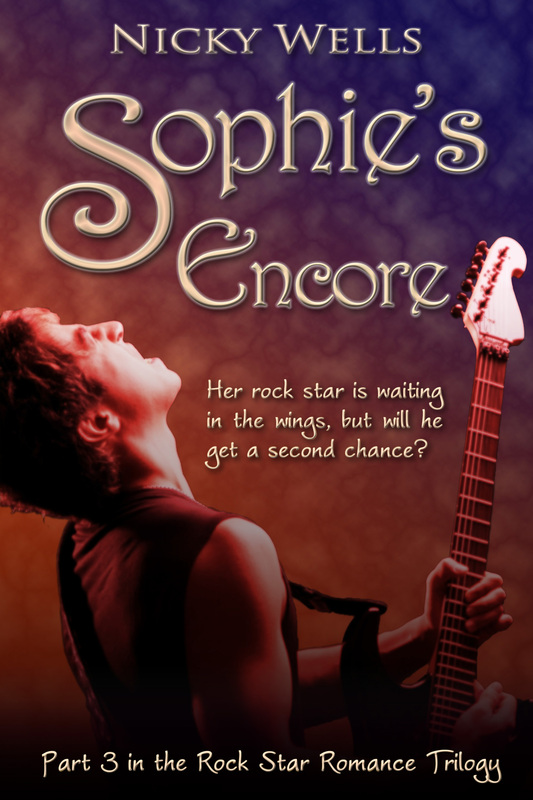 To me the whole essence of a book is to entertain and Sophie’s choice does just that! Really proud of you, Nicky, getting out there and doing it. Now you’ve got the first one over I’m sure you’ll start to enjoy all the other events you do. I really love talking to groups, it’s such a stimulating experience, and I’m sure you’ll grow to love it too.